Product prices and availability are accurate as of 2019-04-11 16:27:45 EDT and are subject to change. Any price and availability information displayed on http://www.amazon.com/ at the time of purchase will apply to the purchase of this product. 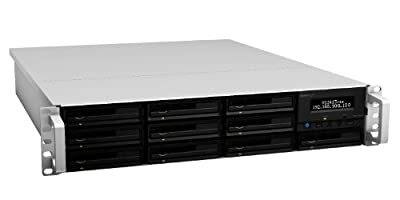 Synology RackStation RS3413xs+ provides the reliable, superior-performance network attached storage solution for enterprises seeking uninterrupted service with comprehensive business applications. Scalable up to 136 TB, Synology RackStation RS3413xs+ simplifies data management, optimizes virtualization environments, and rapidly expands storage capacity. NAS software license is included.